This is the first of five biblical scriptural paintings that were given to me through a vision in 2000. At the time I was unaware of the events That were come; all I knew was that I had been called to paint this passage of scripture for a reason unbeknown to me. It was a journey of great joy, worship, and the privilege of being called. Then I knew in my heart that God was calling a generation of people that would stand as Isaiah did and not compromise the Gospel truth in these last days. I believe the Church will be tested, if not persecuted in these last days when governments begin to take out God from their nation. 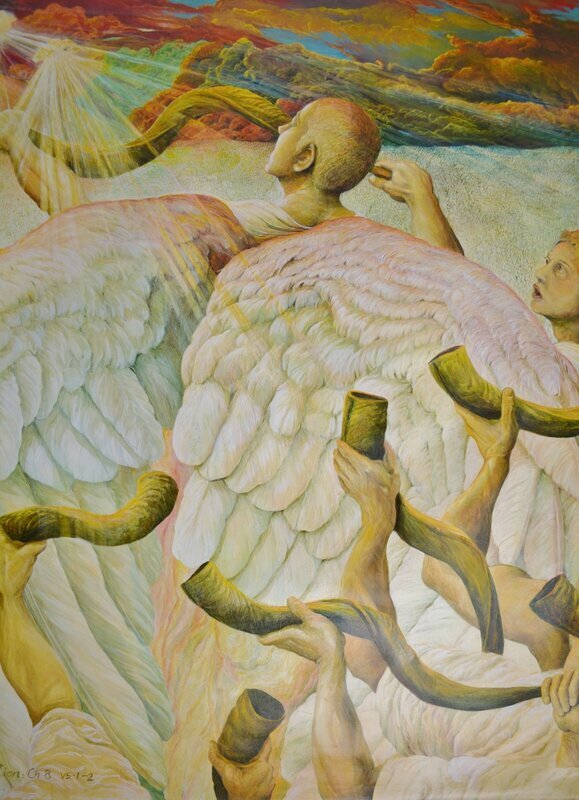 Each painting in the series of five, is warning not only the church but to the rest of the world. This childlike faith goes beyond the boundaries of our human comprehension and religion Itself. It was in this area that I too needed to step into the childlike faith that Jesus spoke of, or I would never have been able to paint these series of biblical scriptural paintings. For most of my career I have been wildlife artist, I have painted wildlife for many collectors around the world. One of my paintings " Kakapo and Chick" commissioned by World Wildlife Fund NZ hangs in the Royal Collection of HRH the Duke of Edinburgh. 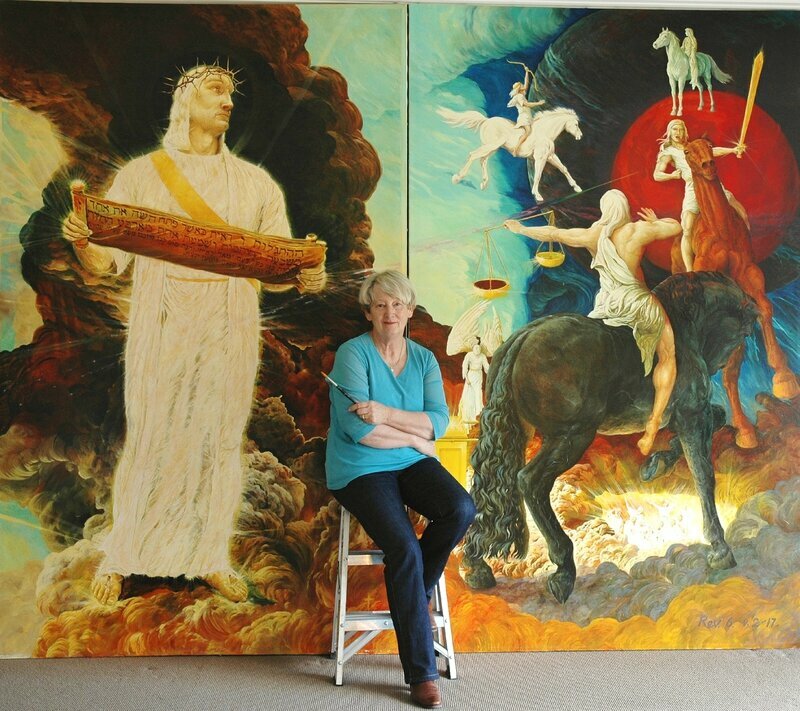 What bought about the change from wildlife to a five year season of painting the bible? Well, all I can say is that I had an encounter with Jesus in 2000. Isaiah 6:1-8 is possibly one of The most widely known passages of scripture in the church today. The first eight verses reveal one man's encounter with God that gives us a glimpse into the supernatural realm of the kingdom of heaven. This beautiful, and yet quite fearful, passage of scripture speaks of six-winged angels, a mighty throne which is high above anything else that exists, and a power that has literally shakes all of heaven. It is a place where one man stood, privileged and yet undeniably terrified, before a Holy God. Isaiah must have thought his life was over, he blurted out "Woe to me!" "I am ruined! For I am a man of unclean lips, then in absolute amazement he heard God say, 'Who shall I send? And who will go for us? ' Isaiah must have breathed a sigh of relief. Almighty God, it seemed was unable to find someone who go and speak on his behalf. At that time God's people were out of order, Unable to hear or see what was ahead of them. It wasn't going to be an easy task for the righteous prophet either, because the message God gave him to speak to the people was not what they wanted to hear or believe. In fact It was a warning: that if people continued on in their ways, straying away from the truth and their God there would be a judgment. Isaiah must have known he would receive a hostile reception , but the experience of His encounter and his commission was worth more than his life. Isaiah put up his hand and said, 'I'll go send me, and God said' Go then and tell My people this, 'You will hear my words, but you will not understand. You will see what I do, but you will not perceive its meaning. Jesus also used the same parallel as Isaiah did in Matthew: 13:11-16. Jesus spoke in parables throughout these verses; but he was not hiding the truth from sincere seekers, because those who were receptive to spiritual truth understood the illustrations. To others they were only stories without meaning. This allowed Jesus to give spiritual food to those who hungered for it. It is the same with this prophecy it is too an illustration, it can be received or it can be rejected. I believe September the 11 th 2001 was a warning to America (not to take the foundation of Truth set by God, out of the nation), it too is a warning to the sleeping Church Itself (the true followers of Christ) and to the rest of world, yet the unsaved. "I am the resurrection and the life. Those Who believe in me, even though they die like everyone else, will live again. They are given eternal life for believing in me and will never perish. biblical parables of wildlife and nature. 'water off a ducks back"
serez vous pret ? apocalypse 19: 11-16. 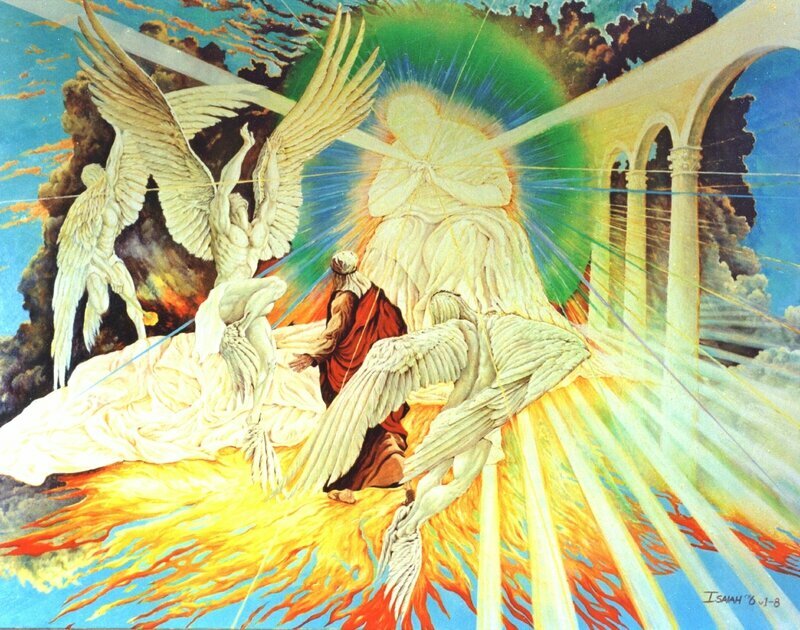 Revelation chapter 8: 1-6 silence in heaven for about half an hour.